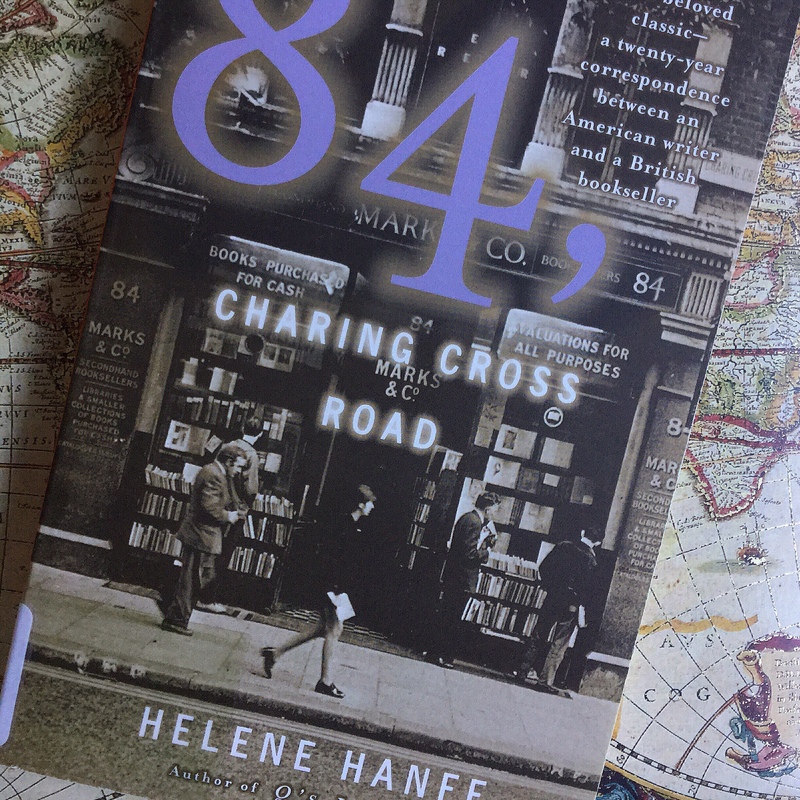 The Story: This is an account of the correspondence between Helene Hanff, a freelance writer in New York and Frank Doel, an employee of a used antiquarian bookstore in London. The correspondence is spread over the years 1949 to 1969, documenting the lively dialogue between two people, with nothing in common but a knowledge and love of good books. Set in the years after World War II, the reader is treated to an insight of the reality of what it was like to live in the aftermath of the war. The book is funny and poignant and shows how people separated by great distance and circumstances can nonetheless, touch each others lives and create the most beautiful relationships. An employee named ‘FPD’ responds to the request and supplies Miss Hanff with several of the requested books. Over the next few months we see a further exchange of letters. We witness Hanff’s friendly, sarcastic and witty personality emerge in her letters. Her letters are liberally scattered with profanities, underlined phrases and expressions written in capitalized letters for emphasis. As ebullient as Hanff is in her writing, ‘FPD’ retains a very impersonal, professional yet helpful air in accordance with his professional requirements at ‘Marks and Co’. This impersonal attitude is broken, however, in the face of Hanff’s extreme generosity. Hanff is appalled to discover the strict rationing imposed on the British public after the war (2 ounces of meat per family per week and one egg per person per month!). In sympathy she sends a hamper full of food as a Christmas present to the employees at Marks and Co. The employees at Marks and Co. are overwhelmed by the generosity of Hanff’s gift and ‘FPD’ for the first time thanks Hanff in a letter signed ‘Frank P. Doel’. The letters continue. Hampers and food parcels are sent from Hanff to mark Easter, Christmas and other celebrations despite her modest income and circumstances. In further correspondence little tidbits of information about Hanff and Doel’s respective lives are shared. We learn that Doel is happily married to Nora and that they have three daughters. We read about the purchase of Doel’s first family car, their brief summer holidays, how the children grow up and find employment. We also learn of the highs and lows of Hanff’s writing career. How much she would love to visit London and meet the employees of Marks and Co. in person and visit the literary landmarks of London. What are the chances of two unrelated people, located 3500 miles apart forging such a strong connection through a series of letters particularly in the pre-internet age? Hanff and Doel demonstrate it can be done and that people can care about one another in a world riddled with hostility and hatred. Particularly in respect to the bloody, gruesome war that took place a few years before this correspondence started, the letters are particularly heartening and renew one’s confidence in the humanity prevalent in mankind.